I have always loved Lavender. Living in Southern California, it is easy to grow & thanks to Sperling Nursery we grow several varieties. 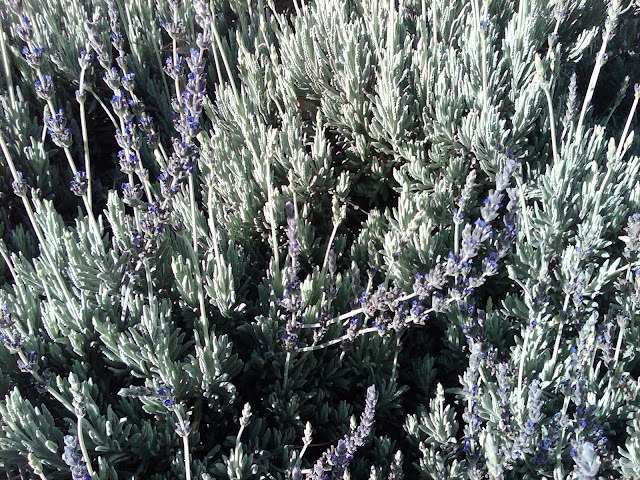 We have Spanish, French and English Lavender. And yes, each smells different to me. I love to rub my fingers over the stalks and take in their fragrance. If I move on to the Rosemary and do the same one of my favorite bath blends comes to life. Before we began to create Melange Perfume for other stores, we stocked Lavender essential oils in our previous store, Melange Apothecary. For custom blending, we usually used the French or Bulgarian varities. The French was a traditional sweet fragrance and was beautiful blended with other floral notes and warm notes, such as Sandalwood and Amber. My favorite was the Bulgarian Lavender. Bulgarian Lavender has a marvelous fresh fragrance and a earthy quality I find quite beautiful. It is beautiful blended with Rosemary, Eucalyptus, and citrus notes such as Bergamot or Mandarin. Most people who selected Lavender for blending did not use it in perfume (hence the decision not to use it for Melange Perfumes). It was most popular in Bath & Body Oil, Bath Salts and Bath & Shower Gel. To manufacture even a small amount of Lavender essential oil requires a lot of flower buds and distillation equipment. Just for fun, I used a recipe for making Lavender Oil I found on http://www.wikihow.com/. Place your Lavender flowers in a jar of oil (I used Jojoba, though Olive Oil can also be used). Cover and place in a sunny window. After a few days, strain the oil over a bowl using a muslin cloth. Return that oil to the jar and place new flowers in the oil. I repeated this process 3 times and was very happy with my Lavender Oil. It will not be the same consistency as an essential oil, but it did not need to be diluted and was wonderful to use. You can place the oil in a nice bottle with label for a gift. I plan to try this for Mother's Day. Back to blending. Happy Spring! 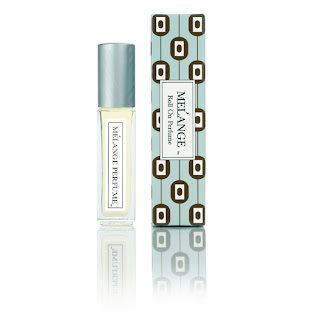 Our newest fragrance, Melange Roll-On Perfume Blend No. 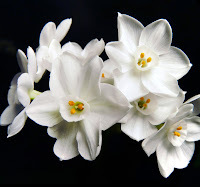 16 embodies the crisp fragrance of Paperwhites in bloom - synonymous with the arrival of spring. A bright floral melange with notes of freshly cut grass, fragrant white blossoms and sweet white tea. Alcohol free, Melange roll-on pefumes are formulated in small quantities using a base of natural Coconut Oil Fractions, which allows our perfume to remain largely unchanged; and Hawaiian Kukui Nut Oil, a natural antioxidant which adds a rich dimension to the perfume. At .25 ounces, our perfumes are the perfect size for a handbag or travel, because when you love your perfume it should go everywhere with you. Available at melangeperfume.com and fine stores. To find a store near you, please visit our website. Recently featured in Beauty News LA, our Melange Roll-On Perfume in Blend No.13 is a blend of rich Dark Chocolate and sweet Amber, accentuated with fragrant Tahitian Gardenia and fresh Guava. A long-time favorite of Melange Perfume clients, this blend is popular year-around. It is my personal favorite for evening and a must-have when I travel, especially someplace exotic (or wish I were someplace exotic)! Blend No. 13 is available at www.melangeperfume.com, b-glowing.com, and fine stores. For a list of stores, please visit our website. With only one week until spring, we are hard at work pouring our Melange Solid perfumes for spring. One of our favorite fragrance notes for spring is Sakura Blossom. Also known as Cherry Blossom, Sakura Blossom has a lingering fruit ambiance with a citrus top note. One imagines celebrating the Hanami, gathering under the Cherry Blossom trees in bloom to take in their beautiful fragrance and admire their celebrated beauty. 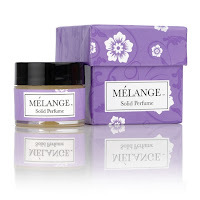 Melange Solid Perfumes are available at www.melangeperfume.com, b-glowing.com or fine stores. For a list of stores, please visit our website and check Locations.